The Petal Fairies need Rachel and Kirsty’s help! Their magic petals, which help flowers to bloom and grow beautifully, are stuck in the human world. Even worse, Jack Frost’s goblins are trying to find them. Will the girls be able to find Tia’s magical tulip petal before the goblins do? A very fun and exciting book for young girls! They really make fairies come to life! 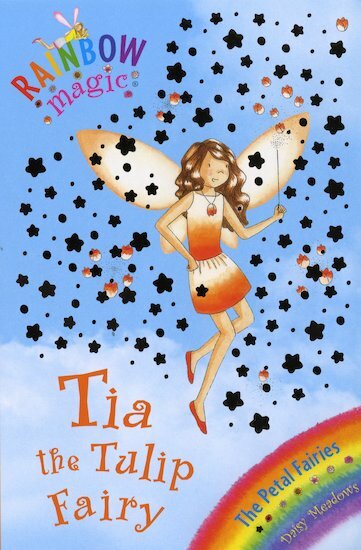 Tia is the tulip fairy and they have to get her petal back.